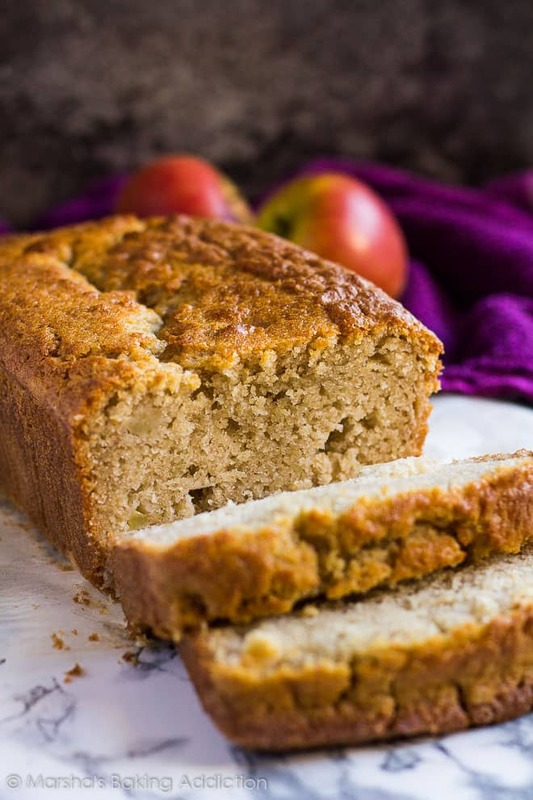 Incredibly moist and delicious cinnamon-spiced bread studded with juicy apple chunks! Preheat the oven to 180C/350F/Gas 4. Grease a 9x5-inch loaf pan, and set aside. Visit Apple Cinnamon Bread @ marshasbakingaddiction.com for full instructions.